All women of the church are invited to a 4-week study of Paul's Letter to the Philippians, a book known for its spirit of joy as it overflows with Paul's love, gratitude and advice to the Philippian church -- and as relevant to us today as it was many years agao. This study will include fellowship, teaching and small group discussion, and our purpose is to learn and grow together and strengthen the bonds between us. The Presbyterian Women of FPC are filling the roles today of ushers, greeters, readers, teachers , Elders and Deacons, knitters of prayer shawls and as always, they bake and serve the delicious cookies and punch in Spencer Hall after each worship service. We provide opportunities for fellowship, community giving and growing our faith through a variety of programs and activities. We welcome all women of the church and guests to our Gatherings which take place at noon on the first Wednesday of each month, October through May and a summer salad luncheon. The PW has four Circles which meet monthly at various times for Bible Studies and fellowship. Dates and times are published in the Outreach and online. 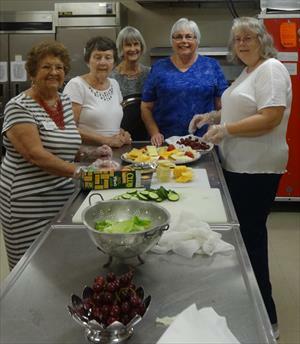 The Presbyterian Women give over $10,000 each year to local charities. They honor veterans in November, collect blankets and jackets on Blanket Sunday and school supplies for needy children. Many members volunteer at local agencies. They rock babies, teach children to read in after-school literacy programs, cook and serve meals to the homeless and join in the construction of houses at Habitat for Humanity. The PW nurture their faith through prayer and Bible study and want everyone to feel welcome to join them. Women can be a member of a Circle or not. Some ladies just attend the Gatherings or other activities. 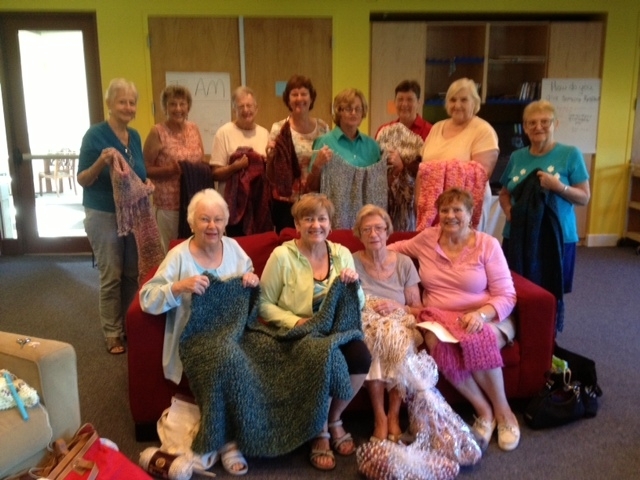 This group of women meets twice per month to work on projects for the many mission ourtreach organizations we support. If you like to sew, knit or crochet, this is a great place to put your talents to work. You can either join them at the church on the second and fourth Thursdays of the month or work on projects at home. This ministry to our church has become very popular in a short time. 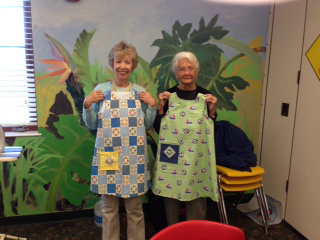 Several recipients have been overjoyed to recieve the thoughtful and loving gift of a prayer shawl. Anyone is invited to join. Meetings are held on Tuesday's at 9:30 a.m. in the Youth Room during season.